this was few weeks back. i want to write it but i keep on, “later on, later on”. 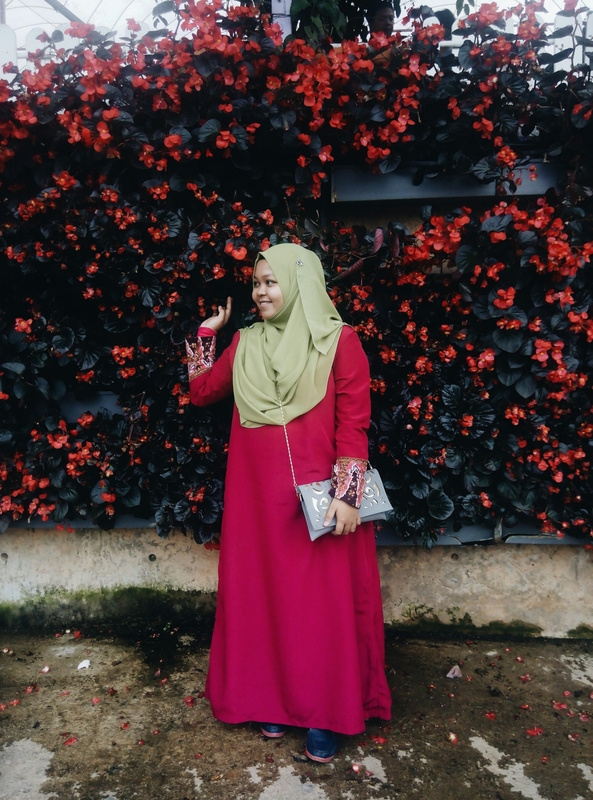 my family and i was invited to go to a wedding at Ipoh, Perak, Malaysia. ibu said, “why don’t we all go to cameron highlands, since it is not that far from here.” me and my sister were screamed like crazyyy. we had been waited for holiday since our last vacation to Terengganu. the journey was merciless and scary. i couldn’t sleep, my sister kept on checked whether my father was driving or sleep-driving. i should have took a video of her. 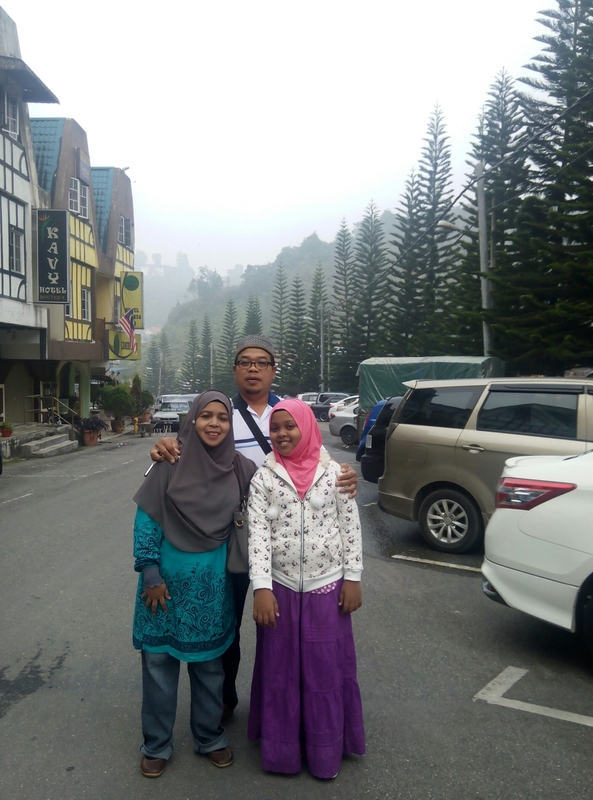 just before we arrived Tanah Rata, Brinchang, which is the main spot, we stopped at lavender garden but since it was already 6 p.m, we couldn’t enter except my dad. ask me why, ask me why. he needed to go to the toilet. hehehe. lucky him got to take sneak peak of the garden. it was beautiful, amazing, i-feel-like-i-am-in-a-disney-film kind of view. at first we were planned to have a one day trip but since we arrived at the destination at almost 7, we decided to stay a night. we thought there were supposed less human since school holiday almost over but no, we thought poorly. as we were headed to hotel location (where we didn’t even know about its availability), we were stuck in traffic. for almost an hour. in the middle of nowhere. in the jungle. scary huh. Alhamdulillah, after all the screamed, laughed and cried, we arrived to not-sure-if-there-was-a-room-available hotel. my mom and i entered and went straight to the lobby. thank God, they have a room which at the hotel next door. as long as we slept in a room and not car park, we were happy as bunny. the hotel room was so cold but i loved it. i love to be in a cold room even if i need to fold myself in three layers of blankets but i don’t mind and don’t you dare increase the temperature. weird thing is, the hotel was not provided with air conditioner. not even heater, hahaha. but it was not as cold as below 0 degrees, my phone stated the temperature was only 18 degrees, just 18 so be cool and relax. my sister was screamed whenever she needed to go to the toilet. at night, we went to night market which was different than usual night market. you can get fresh flowers, fresh strawberries, fresh vegetables, unique food and everything healthy. 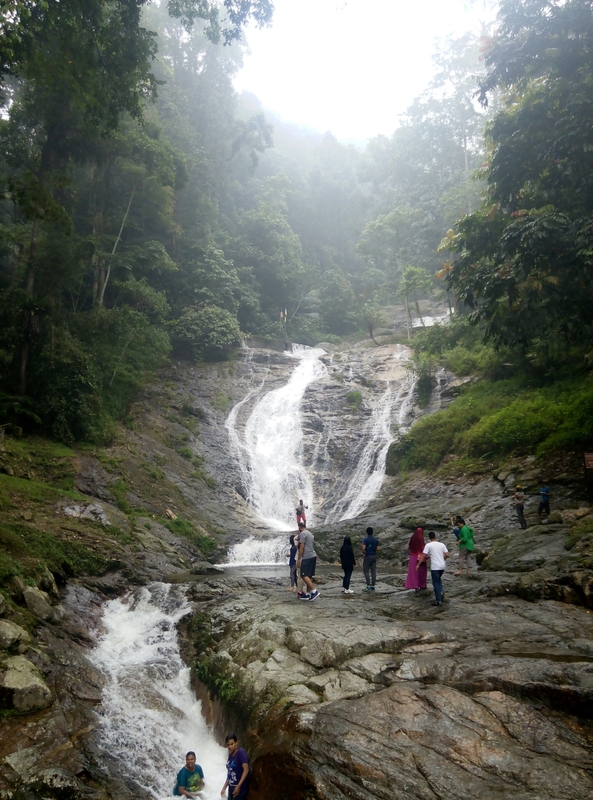 yes, live in cameron highland will make you feel so healthy. the next morning, we had a very normal breakfast as we were normal and still normal till today. then we headed to our room to check out and continued our journey. 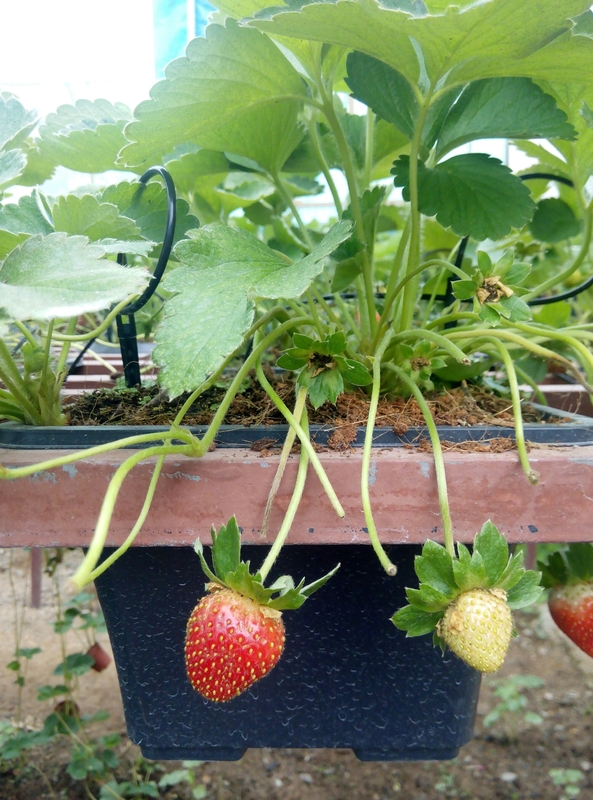 first we stopped by another strawberries farm after yesterday’s non stop purchased session, we just had to buy some more for friends and relatives. 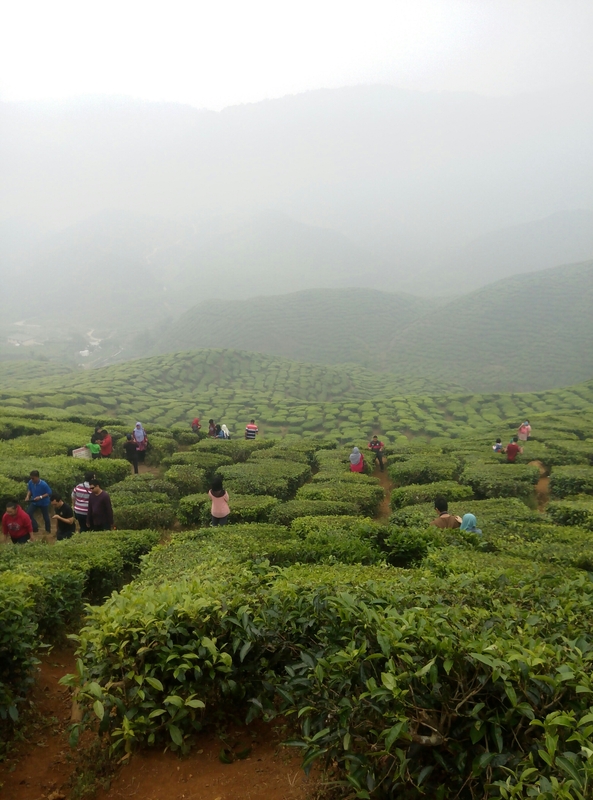 then we headed to tea farm as you can see from the first picture. 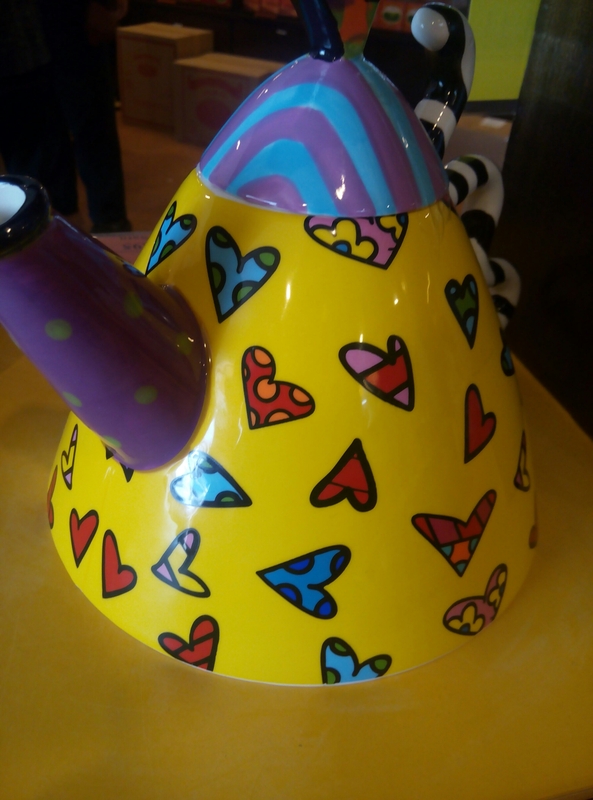 first we visited the store that sell tea and beautiful teapot. i had no money. why did i had no money. it was so beautiful, i want one!! enough with me and teapot, i will get you one day. wait for me! we went down to the land of tea. as a fan of tea, my dad was planned to take some of leaves home but we managed to get one whole tree. hahahaha. no i am just joking, please inspector, don’t arrest my dad. of course if you want to taste it, you need to buy or have a sip of tea at the cafe provided. my family and i love tea so much but we are not a fan of flavoured tea. so we just bought one and until today, we didn’t have a taste yet. 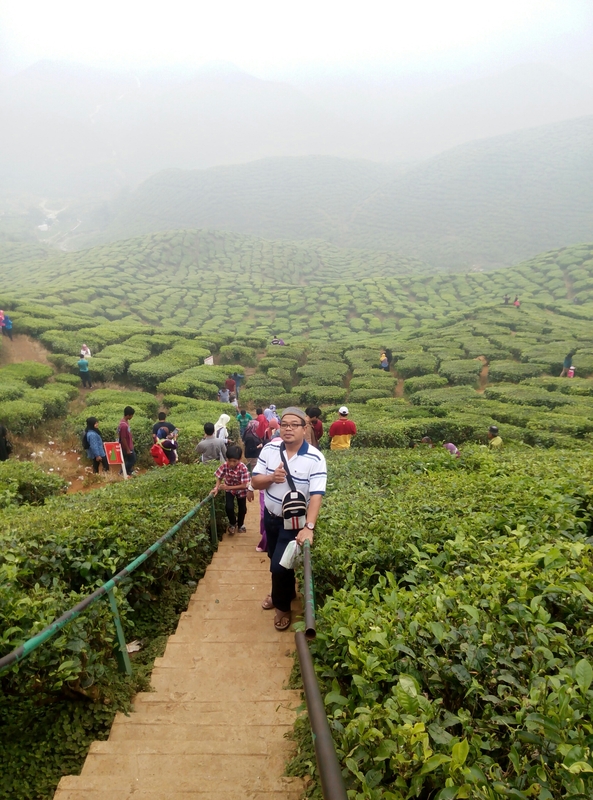 it was scary to go down the hill, i wonder how the tea farmers work there, it was dangerous and slippery. appreciate your tea and don’t you dare throw away the tea leaves, drink with it. the journey back to Kuala Lumpur was even scarier than the road we used to come. if there was a bus on the other, we will be honked and we (I) shocked and we needed to give some space for the bus to pass through the road. even when the road was all scary and dangerous, i don’t understand why the bus driver needed to drive like crazy too. we stopped by at this amazing waterfall. you can have a quick bath here, if you want to. that is all about my holiday. i was fun to have a rest from work, and city air. most important is i get to spend quality time with people i care.